In case you missed it, Diverse Solutions’ dsSearchAgent Mobile came out of BETA on Friday. You can head over to the brand new Diverse Solutions website and see the features and even demo a test version of the product. If you are a client of ours on our predesigned platform and you already have dsSearchAgent as part of your monthly package, you now have dsSearchAgentMobile integrated so that your mobile viewers will be redirected to the alternative interface (if I somehow missed your site, shoot me an email). 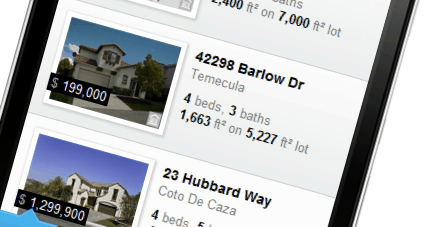 For those wondering how it works, check out AtSanMarcosHomes.com or RiverNorthCondo.com on your mobile device. And if you’re not already a client of ours and would like a website that works with dsSearchAgent Mobile built in (you’ll need our premium package to get dsSearchAgent Mobile), let us know. We've Upgraded Our Predesigned Platform to WordPress 3.2, and the Addition of "Distraction Free Writing"
Today, we added support for Google +1 on all of our Predesigned Websites that Work. What does that mean? For current clients, it means that, after a few checkboxes are checked from your WordPress dashboard, then anyone visiting your site will be able to +1 any page or post on your site. 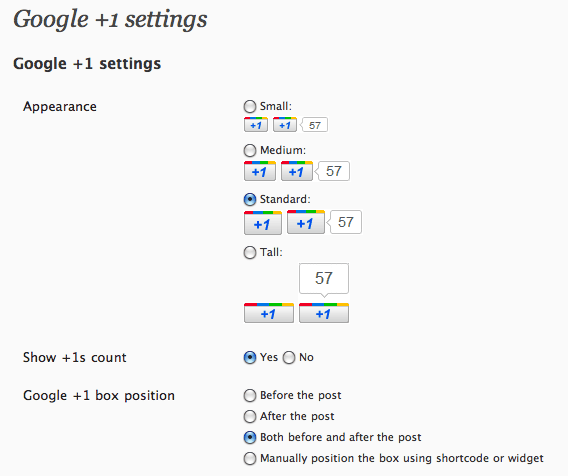 For future clients, it means your site will come setup completely setup with Google +1. Though Google +1 is still relatively new, it’s almost certain to impact SEO rankings over time. You’ve probably noticed the infiltration of Facebook “likes” all across the web over the past year or so and, in my opinion, Google +1 was introduced largely because Google doesn’t want to be left behind with building that valuable social data layer for their search experience. It’s true that it’s harder to get a link now than it was 3 years ago; that’s because many conversations that took place on blogs back in 2007 now take place on Twitter and Facebook — which means that the “votes” for content that used to be in the form of links have largely moved along with the conversations into a more social experience. The more +1’s you can attract over time, the more likely you are to receive search traffic in the future. We get asked to add a lot of functionality to our predesigned platform, and often times, there’s simply no real business case behind the request – it’s just someone asking for the latest “shiny object”. You’ve probably heard us say “If you’re doing something for any reason other than traffic or conversion, don’t do it”. That was true a decade ago and it’s true today. However, we don’t feel Google +1 is just a shiny object — it’s a tool that should help boost your traffic over time. 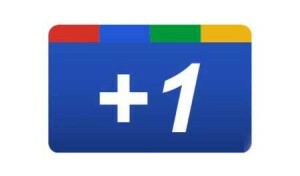 So, just for you, we added Google +1 today. If there are other improvements you’d like us to make, please leave them in the suggestions portion of the Geek Estate forum. Don’t have a website that works yet? What are you waiting for? For current clients looking to enable this functionality, you’ll notice a new “Google +1” link under your settings (see screen shot to the right). Navigate to those settings from your dashboard, select your desired options, and then click save — and away you go! For those who want to follow some recommended settings, below are the settings I used on Lori Bee’s site. I just set it so that attachments don’t have the +1 button on them. That said, feel free to tweak your own settings to your own delight. Software “bugs” (aka “things that don’t work correctly”) are unfortunately part of life for any web company. I’ve been dealing with bugs since 2005 when I started working at a little company you may have heard of by now, Zillow — and unfortunately, I don’t think I’ll ever be able to get away from them as long as I work for internet companies. Obviously, minimizing bugs that make it to production from test environments is always the goal of any web company – but inevitably, they slip through the cracks every now and then and end users notice something broken. It goes without saying that finding those bugs and getting them fixed promptly is one of our top priorities here at Virtual Results. It’s important for you to understand that there are literally thousands of variables that cause software bugs; browsers (IE/Chrome/Safari/Firefox), operating systems (OS X vs Windows), ISPs, desktop applications running in the background, browser extensions, or even hardware. Just because something is not working for you does not mean it’s a system wide issue seen by everyone — it could very well be something only you are seeing or only people using Internet Explorer are seeing.